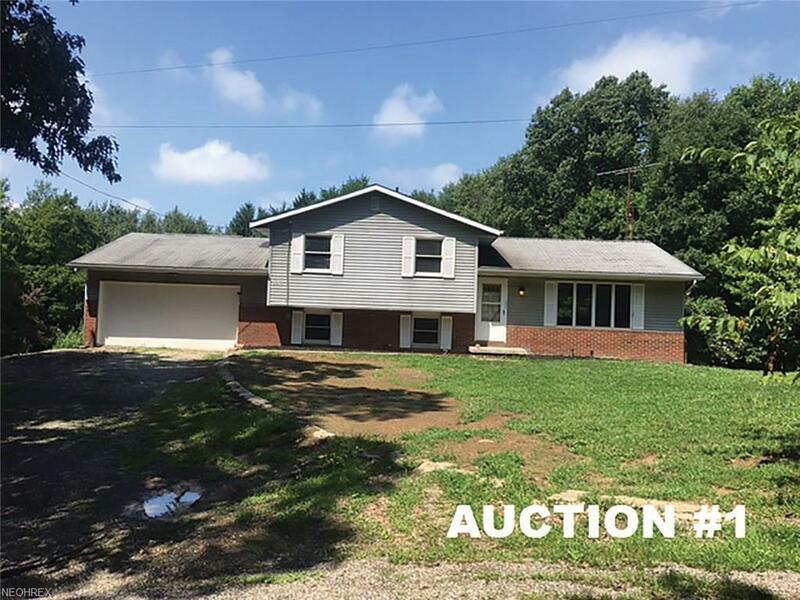 ESTATE AUCTIONAUCTION #1 25 Acres With Home Offered In Three Parcels, Parcel #1 10.6 acres with home mentioned above, Parcel #2 7.2 acres wooded land and Parcel #3 7.2 acres wooded land.AUCTION #2 Fixer-Upper Five Bedroom Home On 3.72 AcresAUCTION #3 4.59 Acres Vacant LandGas & Oil Mineral Rights TransferStark Co. Paris Twp. Minerva LSD No ZoningAll sells to settle the Walter G. Smith Estate, Stark Co. Case #230990, on location: SATURDAY - SEPTEMBER 15, 2018 11:00 AM. Note: All sold from auction #1 location 2019 Whitacre Ave. SE. - TERMS ON REAL ESTATE: 10% down auction day, balance due at closing. A 10% buyers premium will be added to the highest bid to establish the purchase price, which goes to the seller. Any desired inspections must be made prior to bidding. All information contained herein was derived from sources believed to be correct. Information is believed to be accurate but not guaranteed. For other auctions see MLS # - Auction 2 - 4032478, Auction 3 - 4032485.